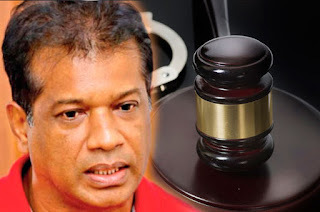 The former MP was arrested by Anuradhapura Police yesterday in the Anuradhapura area after the vehicle driven by him had collided with a motorcycle. Two women were reportedly injured in the accident while they were admitted to the Anuradhapura Hospital for treatment. Police Spokesman SP Ruwan Gunasekara said that Lalkantha was arrested for causing an accident while driving under the influence of alcohol.